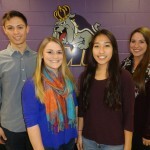 July 24, 2014 by Theresa B. Clarke 1 comment on "Five JMU Teams Excel in Marketing EDGE Collegiate ECHO Competition Sponsored by Domino’s"
In the MKTG 384 (Integrated Marketing Communications ~ a.k.a. IMC) course at James Madison University, one of the requirements is that students must develop an Integrated Marketing Communications Plan. An IMC Plan is designed to help an organization plan, integrate, execute, evaluate, and control the use of various promotion-mix elements, such as advertising, sales promotion, direct marketing, internet marketing, etc., to effectively communicate with target audiences and meet organizational goals. During the spring 2014 semester, this was the first time JMU students created their IMC Plans within the context of a global marketing competition ~the Collegiate ECHO Marketing Challenge. Why ECHO? ECHO isn’t an acronym, but represents what takes place when a marketer sends out a call to action and receives a response…an ECHO. It is a sign that your marketing communication efforts were effective. The Collegiate ECHO Marketing Challenge is sponsored by an amazing nonprofit organization called Marketing EDGE (EDGE stands for Educate – Develop – Grow – Employ). Marketing EDGE, formerly Direct Marketing Educational Foundation – DMEF, is the only national nonprofit of its kind solely committed to acquaint professors and college students with – and to engage and involve them in – the thriving business of marketing. Marketing EDGE is supported solely by corporations and individuals who want to give back to the community. Marketing EDGE offers many exciting services for students such as a job board, career resources, events, scholarships, and more. The Collegiate ECHO Marketing Challenge is an opportunity for college students studying marketing to compete and work on a multifaceted marketing assignment for a major corporation. This year, the client was Domino’s! As a part of the competition, student teams of 3-4 students submitted plans which include qualitative and quantitative research summaries, strategy outlines, media plans, budget and profit projections, and detailed analytics based on real-world metrics. Students created plans that integrated direct and interactive channels including Domino’s owned and earned media channels (e.g., social media, e-mail, website, and print) with a goal of increasing the number of orders driven through a Domino’s Mobile App. Students also created a video advertisement as part of their campaign. Campaigns were designed to focus on store retail space in 4,900 stores to drive consumers online for their next purchase. We are so proud that five JMU teams were among the semifinalists and one of those semi-finalist teams won 3rd Place Bronze. 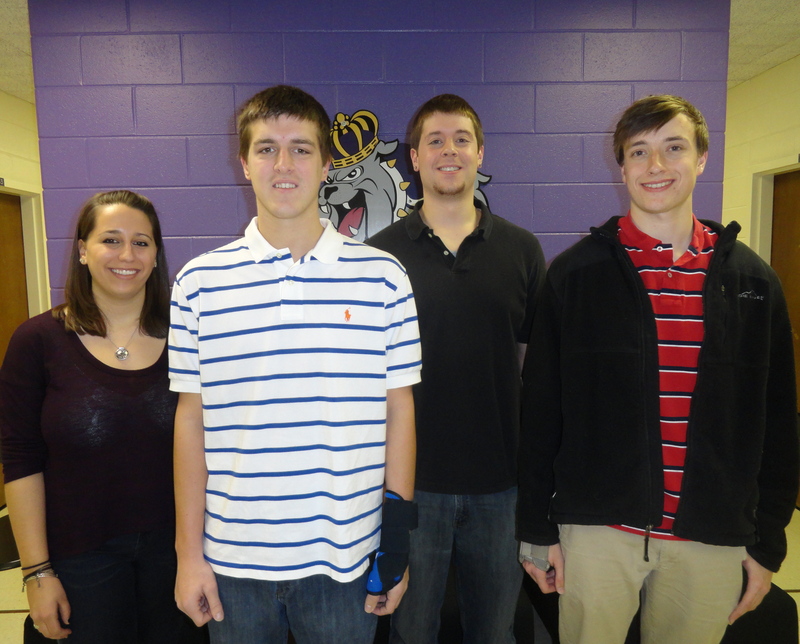 Pictured to the left is our JMU winning team: Lauren Crain (Team Leader), Dan Froehlich, Shawn Misar, and Haley Svadeba. 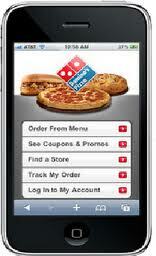 The team’s campaign had a family focus that involved the target market in the Domino’s mobile app. With a proposed slogan of “TAPP the App! Family time is just a tAPP away” their creative strategy involved showing busy moms how the Domino’s mobile app can create more family time. Because of their third place win, the team will split a cash prize of $500 and receive certificates of accomplishment. Additionally, the JMU Department of Marketing will receive a trophy denoting the team’s accomplishment and a $1,000 scholarship grant from Marketing EDGE to award to deserving students interested in marketing. 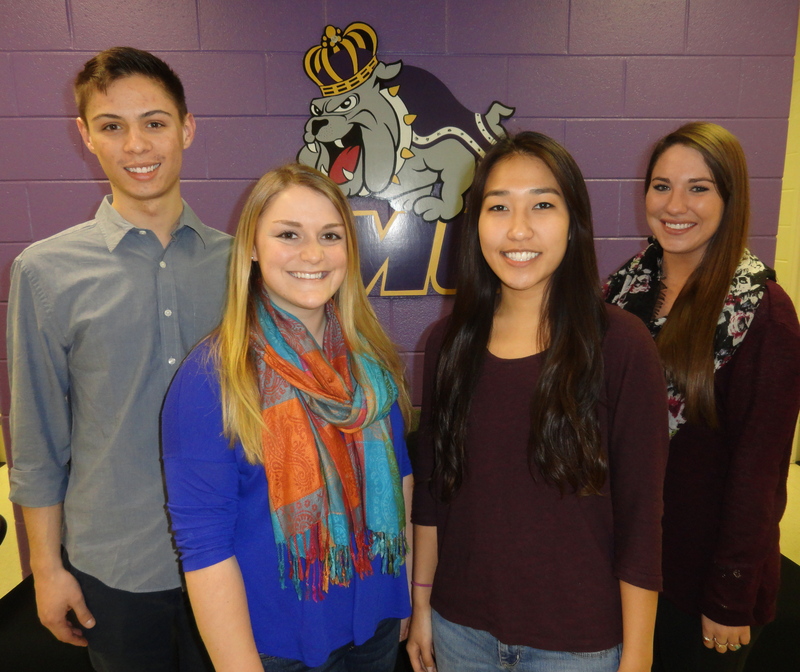 Congratulations is extended to four other JMU Marketing teams that were named Semi-Finalists! To make it into the semi-finalist category, teams needed to rank within the top 15% of all 200 entering teams. I wish to recognize Patrick Cusamano, Jack Crowder, Marissa DeMilio, Lucas Falzetti, Nicole Gombos, Lindsay Jacobs, Oeuyowan Kim, Louise Lehmuller, Chase Murray, Ashley Musumeci, Mike Pazirandeh, Eric Pritchett, Patrick Shamburger, Austin Shifflett, and Jenna Ward. 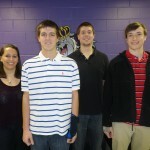 Each of these students is featured with their respective teammates. For a list of all 2013-14 winners, please visit the Marketing EDGE Winners and Honorable Mentions page. On behalf of all of my participating students, I owe special thanks to several people and organizations at JMU. The Center for Instructional Technology at JMU has always come through whenever technological assistance was needed in my teaching. For this project, E. David Stoops, Educational Technology Consultant and D. Lee Beard, Director of Media Production Services developed a presentation to help my students understand how to prepare the required video ad component of the project. From JMU Libraries, Desirae Zingarelli-Sweet, JMU Business Librarian, delivered an informative presentation to my students about library resources that can be used in crafting the plan. My JMU marketing colleague, Steve Hertzenberg, was instrumental in answering questions, sharing ideas about integrated marketing communications, and discussing teaching strategies. Most importantly, THANK YOU to Marketing EDGE and Domino’s for offering such a rewarding educational experience. I am confident that my students benefited in so many ways by creating an integrated marketing communications plan for a real client. 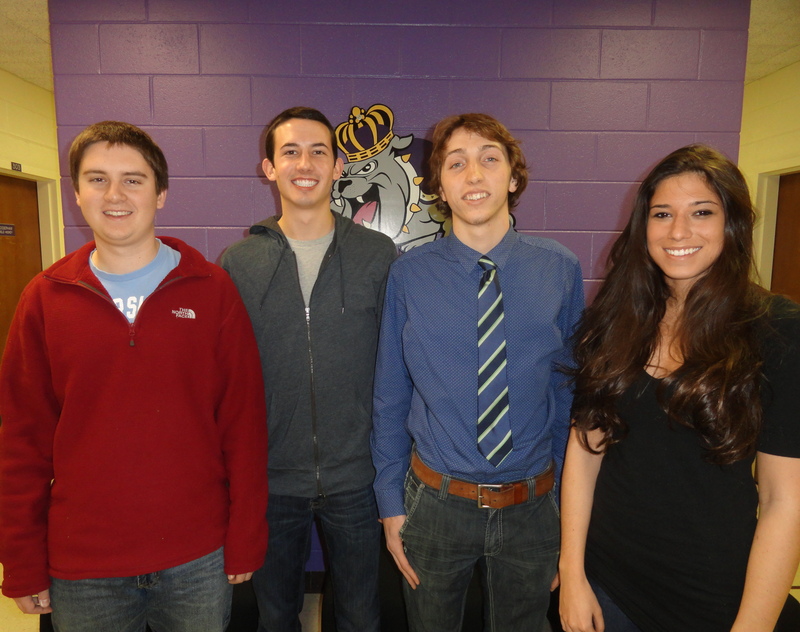 JMU looks forward to participating in future Collegiate ECHO Challenges. 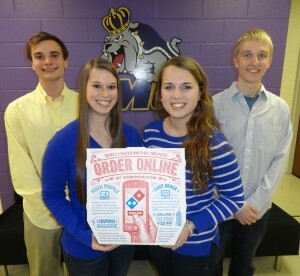 1 Comment on "Five JMU Teams Excel in Marketing EDGE Collegiate ECHO Competition Sponsored by Domino’s"